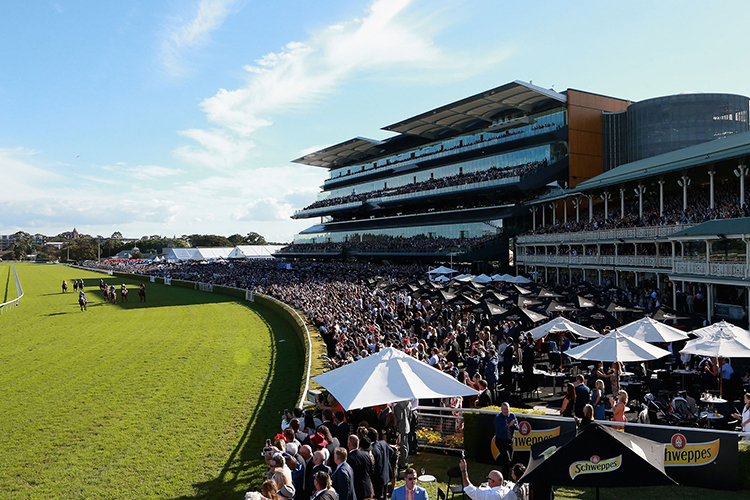 Racing and Sports highlight our standout plays for Australian TAB meetings on February 6. Six TAB meetings are held across Australia on this Wednesday at Kensington, Ararat, Sandown, Ipswich, Ascot & Morphettville. SALSA MAN enjoyed the step up to a mile last time out when he closed strongly to score at Wyong when second up from a spell. Won impressively third up last prep. From a Zabeel mare so expect he will relish the longer trip today. SAINT KATARINA disappointed last start when down the track over 1900m at Canterbury. Winning chance on her rating from two starts back but the question is whether she is over the top after nine runs this prep. FRAUDULENT took over a long way from home and held on well to finish 2nd recently over 2100m at Wyong. That run came off a 30-day break so fitter now and looks a lightweight chance. SELECTIONS: #4 Salsa Man to win. As a FREE Racing and Sports offer you can download the Computer Card here. LINEN KING could well end up with the box seat here from the inside draw. Overdue for a win with three placings from four this time in and gets chance here. KODAKHAN resumes in easier and is fitter for a trial. Decent fresh up record and can sneak into the finish. STREET STYLE also resumes after a good first campaign. Placed only fresh up run and expected to go well on the back of a winning trial. BEL ROBBIE is a last start winner and has to be included among the hopes. LA TESORA rates well on best form and worth including. SELECTIONS: Linen King should have all the favours and go close. SPARKLING FACET is ex Sydney and resumes for the Edmonds yard with Lloyd booked. He rode the mare in the recent trial win and she is sure to be ready and take beating using the low gate. LASHONI should make short work of the tricky gate and matched her best missing a nose FU at Doomben leading. That more than stacks up and fitter she is feared. SPEEDGUN was better here the latest placing off an excuse run as a hot favourite. Gets the rail and is an improver with claims. SPARTAN JET debuts off a big trial win and looks to have plenty of ability. Has to be kept very safe. SELECTIONS: Hard to remember a program with such short priced favourites across all races. With the rail out 8m let’s hope it doesn’t turn out to be a bookies paradise. All things point to #10 Sparkling Facet being ready to go and at the price she is prefered over Lashoni. I AM SPARTACUS missed a lip at Belmont before the break in stronger grade and was heavily-backed on resumption just beaten. Has trialled well for that and will be tough to beat making his own luck from the rail. LOOKOUT resumes and brings a string of close-up efforts from Belmont. Owns a trial that venue in preparation for this and is feared stalking from the low draw. SHUWISH debuts off a trial win and gets the key booking of Pike. That suggests she’s up to this and ready to go. FOSSICKS debuts from a handy gate off a trial win. Gets the blinkers applied and everything points to a good run. UNI TIME has also trialled well for his debut but the barrier cruels.SELECTIONS: At the odds taking the punt on on #6 I am Spartacus and there’s enough market leverage to cover #5 Lookout as well. MAWAARD was a dominant fresh up winner of his maiden. Skips in grade but has big upside and looks promising. Happy to stick with him. ROSSA'S REWARD is going well though with two wins last three. Down in weight after the claim and should go close again. BOOMSTOCK made debut with a determined win over seven furlongs and looks suited at the mile. Can measure up. D'GRAMMY drops in grade on latest and can bounce back. SELECTIONS: Mawaard shows promise and can go on with it. COTILLION ran her best race placing second on the main course 2U snapping late after hitting the lead at the 200m. Back a bit in trip probably suits and she’s a live chance at good odds with the claim and handy draw . REAP THE BENEFIT won easily at the Bridge before the near miss at Gawler both from the speed. A strong chance for sure but but may not quite have the immediate improvement of the above. ASHADY HUSSY gets the weight drop and is in the mix with HINCHIN MISS. GET IN THE BOWL can add more meat to exotics. SELECTIONS: #8 Cotillion has the figures and looks each way value at the current $9.0.